The Catholic Bishops’ Conference have launched a new website for the month of November, the moth of the Holy Souls. Called ‘The Art of Dying Well‘ the site offers support to those grappling with issues around the meaning of death and dying. Based in the Catholic tradition, but open to all, it features real-life stories about dealing with the journey through death to eternal life. The site is for those who are dying, their friends and family, for carers and makes a contribution to the national debate. Expert advice has been sought from professionals in palliative care, ethics, chaplaincy, history and media. Here is a video clip from the website which looks at the journey of one man’s terminal illness. This entry was posted in Uncategorized and tagged Bishops' Conference, Death, Dying, Education, Holy Souls, Media, November, Prayer on November 3, 2016 by stdavidandstpatrick. The Bishops’ Conference of England and Wales has released another short video asking us to review how we’re going to vote at the next election. This video is on Domestic Poverty. This entry was posted in Uncategorized and tagged Bishops' Conference, Election 2015 on March 18, 2015 by stdavidandstpatrick. Today, Sunday 28th September, has been marked out as a special day of prayer for the preparations of the Synod on the Family. The Synod – a meeting of bishops – will take place from the 5th to the 9th October and will discuss the matters which were raised last year when the Church invited every member to fill out a questionnaire on family life. Pope Francis has asked for the following prayer to be recited by all the faithful during liturgical celebrations. find ready comfort and healing. and its beauty in God’s plan. 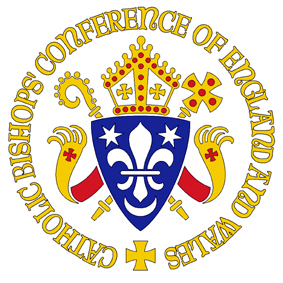 The bishops’ conference of England and Wales have more information which can be found here. This entry was posted in Papal News, Prayer and tagged Bishops' Conference, Family life, Pope Francis, Prayer, Synod on September 28, 2014 by stdavidandstpatrick. We are reminded that the work of evangelisation begins within our own families – in our own homes – and also within the spiritual family of our parish. The bishops of England and Wales ask that we reflect very especially on how the Lord might be calling us to reach out to those that we know, in our home and parish family, who are non churchgoing Catholics. For more information look here. This entry was posted in Uncategorized and tagged Bishops' Conference, Home Mission Sunday, Prayer, St David and St Patrick on September 20, 2014 by stdavidandstpatrick.